The main electrical installation that will be needed when creating your dream bathroom will usually be the shower unit that you decide on. All of these electrical installations will need to be installed by professionals. New sockets need to be added at a safe distance from a sink or water supply, sockets should also be easily accessible. Our highly qualified team of electricians will fit all of your appliances and sockets, so you don't have to worry. There is quite a lot of plumbing work involved when fitting a new bathroom including water supply to showers, baths and sinks. There is also waste disposal, heating, re-positioning or installation of radiators and much more. Our plumbers are highly trained and will fit all of the necessary components for your new bathroom. Before renewing a bathroom it is important to ensure that everything is properly prepared. There are various methods involved when re-plastering walls depending on the condition , these include removing old plaster and recovering, dot and dabbing, plaster boarding, skimming, damp coursing and more... Our highly skilled plasterers will make sure your ceiling and walls are smooth and skimmed to a high quality finish. We have a team of Specialist wall and floor tilers who can undertake both domestic and commercial work, fully experienced in working with Ceramic, Porcelain, Mosaic, Slate, Limestone, Marble, Granite, Travertine and Terracotta. All of our work is carried out to a high standard, using top quality materials from well known, respected manufacturers and suppliers. From help with selecting your ideal floor and design options, to installation and maintenance advice, our dedicated flooring specialists offer you an exceptional service. We can fit all types of ceramic, marble, slate tiles, wooden flooring, laminate flooring, cushioned flooring and much more. Our multi skilled Carpenters have a wealth of experience in fitting bathroom units into your home. We also fit Granite, Marble, wooden, stone or formica work surfaces to complete the look of your newly designed bathroom. The bathroom needs to be functional and practical to accommodate your family, but at the same time the bathroom can be aesthetically pleasing, personalised and fashionable. 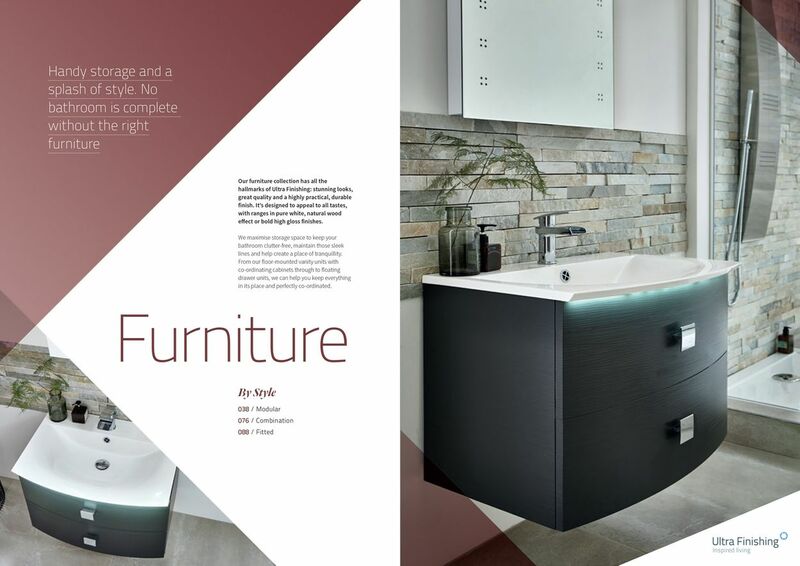 Drawing on many years of experience, we have created a brochure showing a range of bathrooms which offers both handy storage and a splash of style. We have featured traditional designs for those comfortable with this timeless appearance and at the other end of the fashion scale we show the very latest in contemporary looks. Using modern materials that are highly practical, our great quality range of bathrooms can cater for all tastes and your personal eye for quality. From floor mounted vanity units with coordinating cabinets through to floating drawer units, we can help you keep everything in its place and perfectly coordinated. We also have a range of door handles and knobs which have been especially chosen to complement the overall design of your dream bathroom. Click on the image below to download our brochure for design ideas for your dream bathroom!